1.1 ZonLi Weighted Blanket Review – How Does It Work? 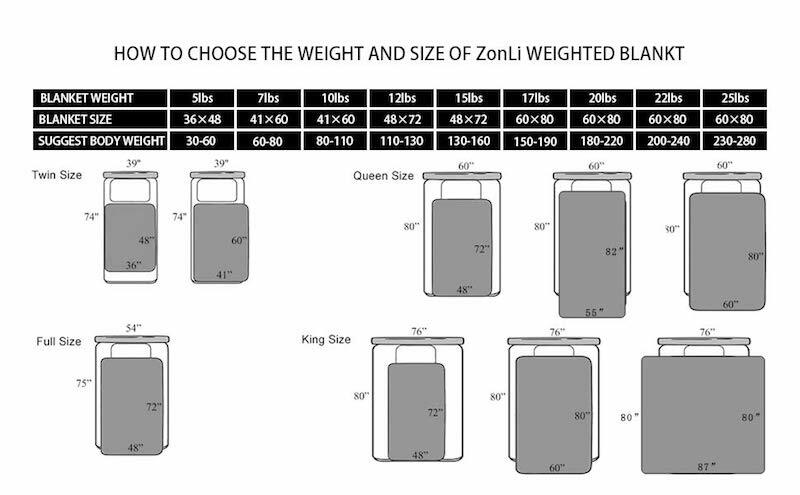 1.4 How Effective is the Zonli Weighted Blanket? There are many weighted blankets out there in the wild today, too many to count. Sifting through all of them can be difficult, especially if you’re doing it for the first time. It’s difficult to know who to trust and who is not 100% legit. 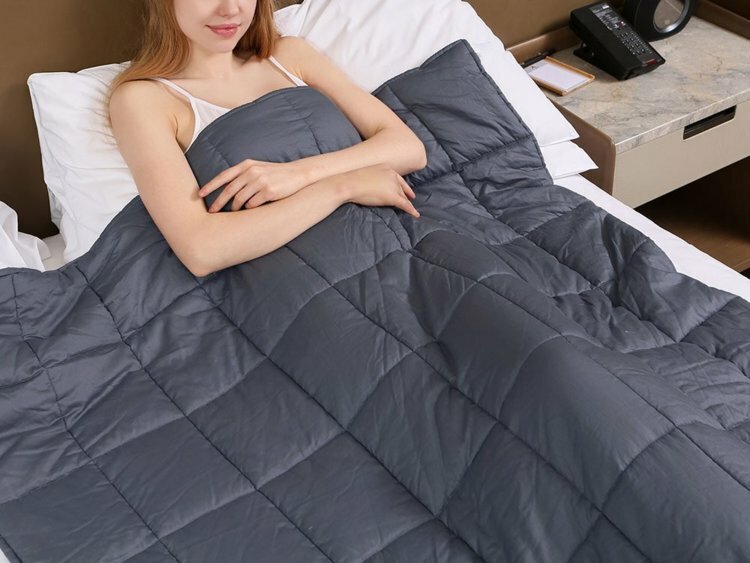 One of the companies I recently came to trust is ZonLi – the company is relatively new, but they’ve already accrued a large amount of trust and praise from their customers with the ZonLi weighted blanket. They seem to be dedicated to making high-quality products that use only natural materials, which is what caught my eye. I decided to give them a shot, and here I am today – a bit better off, sleeping somewhat better with a blanket that doesn’t trigger my allergies or give me a rash. Pretty good I would say. 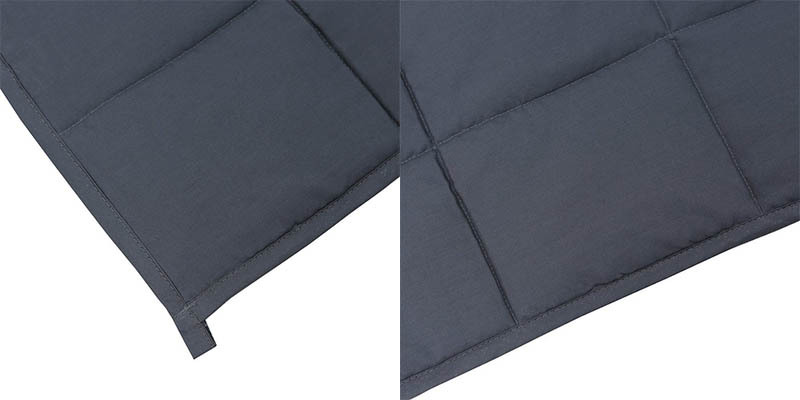 Read on to read my detailed ZonLi weighted blanket review and see everything that’s good – and bad – about it. ZonLi Weighted Blanket Review – How Does It Work? 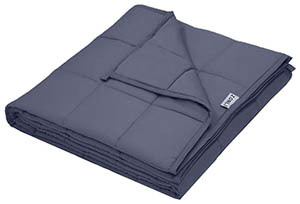 While weighted blankets are surely popular these days, but they do seem like a gimmick to a lot of people. After all, how is a heavy blanket supposed to help with so many different things – including insomnia, autism, depression, anxiety and so on? It seems a bit unrealistic. However, it only seems that way if you don’t know the science behind how weighted blankets work. There’s a good reason why they have been used in psychiatric hospitals for decades, and that’s not because they’re a useless gimmick. So, how are weighted blankets able to help will all those different conditions? Well, it’s true something called deep touch pressure, a type of physical therapy that’s meant to mimic the feeling of human contact. It has long been known that close contact with other people – especially hugs and cuddles – can help with a lot of different conditions and stimulates the release of ‘feel good’ chemicals like serotonin and oxytocin. This reduces your stress levels and lifts your mood. It can even help with hypertension or heart palpitations. But what does that have to do with weighted blankets? Well, weighted blankets apply consistent pressure to your entire body while making you feel warm at the same time – the same thing a hug does. Since you feel like you’re being hugged, your body produces the same chemicals which relax your body, make you feel better and help you fall asleep easier. The way they achieve this is by being filled with small beads made out of glass, metal, plastic or other materials. These beads are fitted into pockets in the lining of the blanket to restrict their movement and keep them safely inside the covers. There are two main variations of the ZonLi blanket, based on the type of cover used for them. The first type has a well-made cotton cover, while the other type uses a hypoallergenic bamboo cover – which has its benefits, though it is more expensive and there are fewer size options. The size and weight options available to you are quite extensive though. For single beds, you can choose from a 5-pound, 36’’ x 48’’ blanket or a 7-pound, 41’’ x 60’’ blanket. You can get the latter one in a 10-pound variety as well. If you’ve got a full-size bed, there’s a 48’’ x 72’’ size which comes in two weights – 12 or 15 pounds. This blanket can easily be used for queen-size and king-size beds as well, though it’s not for two people. For queen and king-size beds a 60’’ x 80’’ comforter is available in four different weights, 17, 20, 22 and 25 pounds. There are great options for everybody, for single sleepers and couples alike. Make sure to pick a blanket that weighs about 10% of your total body weight to get the right amount of comfort. The price of the ZonLi blanket varies a bit based on the type and size you choose, and it could run you anywhere from 80 dollars to almost 200 bucks. That is a lot to pay for a weighted blanket, and if you buy a duvet cover with it, the price could rise to over 300 dollars. For a start, the blanket is filled with glass beads – probably one of the best choices of filling. Some poly-pellet filling is used as well though, which is not so natural and is usually used to drive the price down. However, it shouldn’t impact anyone with possible allergies. 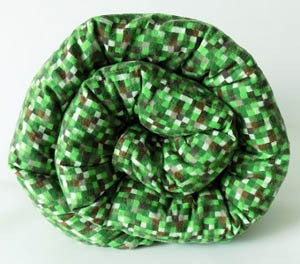 The outside of the blanket is mostly made with cotton – or bamboo fabric, depending on the type you choose. Both are natural, hypoallergenic and the bamboo cover also helps cool you off during the hotter months. Overall, the stitching is good, and it’s not likely that the blanket will break down any time soon. You just need to make sure to wash it by hand, without tumble-drying it. If you don’t, it will fall apart rather quickly – I know it can be a hassle, but it’s necessary. How Effective is the Zonli Weighted Blanket? So far, it’s done me a lot of good and helped me sleep a bit better. I certainly fall asleep much faster than I used to since I find the weighted feeling to be highly comforting and I toss and turn much less. Usually, it took me about an hour to fall asleep but I can do that within ten minutes now, and it only took me a few days to adjust to the blanket. For the price, that’s quite good – I got one of the lower-priced options. I can’t say if the higher-priced options are worth it, but the one I got more than justified the investment I made. The ZonLi blanket is a decent choice for most needs, be it adults, kids or toddles. It is very reasonably priced and widely available on Amazon. It works, that much can’t be debated and it’s got a quality build and feel to it. While washing it might be a hassle, and it isn’t quite as good as some of the higher-priced brands it’s still more than good enough, especially considering the competitive pricing. I certainly feel better sleeping with it, and I think you should try it as well since it can be quite helpful, even if you might not expect it. If you choose one of the lower-priced options, you have little to lose when getting one for yourself. 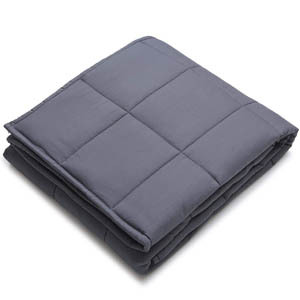 Meta Description: If you’ve heard about weighted blankets and the Zonli weighted blanket but don’t know if should buy it, you’ll find out all about it in this article.